A very nice match. Both teams are in good form and they can pretty much harm each other so a Both to Score bet is in order, with a high stake. Over 2.5 Regular is also a good bet, but i doubt it will produce without the Both to Score as 3:0 result is a longshot even for Fiorentina. Sampdoria's defense has been on the top level over the past month but that is going to end in this match for sure. 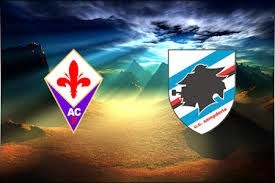 On the other hand, Fiorentina has been complacent recently and they will concede to Sampdoria. Both to Score is right on the spot.